Laystall manufacture cylinder liners in small quantities for special applications such as motorsport, classic and vintage vehicles, aero engines, marine, refrigeration and compressors. From samples or customers drawings. Alternatively Laystall will design a suitable product. Cast Iron, Steel (Cromard®), Coated Aluminium Alloy, high strength forged Aluminium tube. One off to volume production. Ceramic, Microchannelled Hard Chrome, Laycarb® , Silicon Carbide Impregnation, R.I. Localised SiC impregnation and texturisation, Nickel Ceramic, Nickel. High value engine blocks, liners and other components may be reclaimed economically in some circumstances. 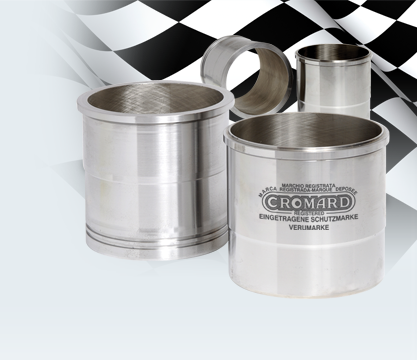 We have the ability to produce small batches of cylinder liners for specialist applications such as motorsport, classic and vintage vehicles, aero engines, marine, refrigeration, and compressors.